Officer Katlyn Alix was in the living room of another officer who was on duty but at the home when he mishandled a firearm and shot Alix in the chest. Image courtesy of St. Louis Metropolitan Police Department / Twitter. An officer with the St. Louis (MO) Metropolitan Police Department was accidentally shot and killed when a fellow officer reportedly mishandled a gun, allowing it to discharge. 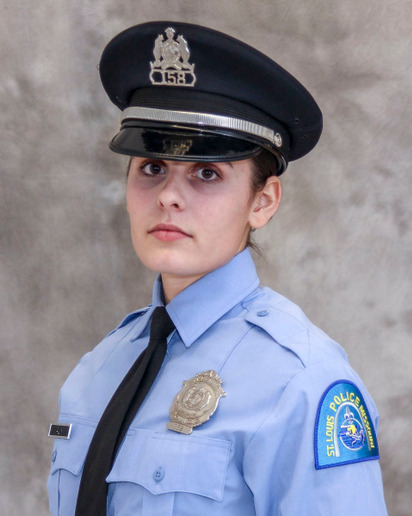 According to the St. Louis Post Dispatch, the officer—identified as 24-year-old Katlyn Alix—was in the living room of another officer who was on duty but at the home when he mishandled a firearm and shot Alix in the chest. Two on-duty officers reportedly transported Alis to a nearby hospital, where she was later pronounced dead. The gun involved in the incident was reportedly not a department-issued firearm. "Officer Alix was an enthusiastic and energetic young woman with a bright future ahead of her," Chief John Hayden said on Twitter.